Spell Magazine | Can Sound Therapy Lower Your Stress Levels? Can Sound Therapy Lower Your Stress Levels? From “vampire facials” and “ear candling” to “fish pedicures”, the beauty world has thrown up a lot of weird and wonderful treatments our way. The latest “odd” wellness craze is sound therapy - which thankfully doesn’t involve extracting your own blood or having tiny creatures nibble at your toes. We recently discovered it at a meditation session at Hackney hangout The Refinery where gong healing was incorporated into our yoga session and it was definitely unlike anything we’d experienced. You lie down in a ‘nest’ of pillows and blankets while a gong is struck as you meditate – the idea is that you go into a deeper state of stillness and relaxation, as opposed to when your mind is normally preoccupied with work/relationship stress. But before you start to picture Edina Monsoon from Ab Fab, there appears to be ‘sound’ reasoning behind this type of therapy. The idea is that the entire universe – including our minds and bodies – is in a state of vibration. Sound therapy uses gongs, chimes and Tibetan bowls to create specific sound waves that vibrate at a certain frequency. These in turn shift the vibration and energy of our bodies to help restore a sense of equilibrium and harmony. Sound therapy - or ‘gong healing’ - is said to help with stress relief (vital come exam week…) and a heightened sense of insight and clarity. Although there’s no hard scientific evidence to back it up, it can’t hurt giving it a go – especially if you’re going through a particularly tough time. 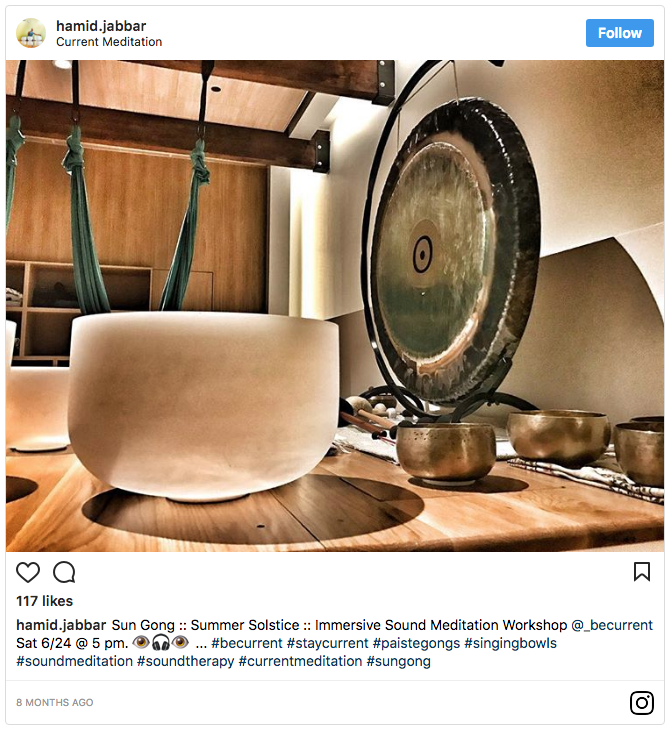 During our Mindful Meditation and Gong Healing class at The Refinery, it certainly helped lull us into a meditative state (whereas we’d normally be staring at the ceiling…) and we even fell into a semi-doze with the surreal sounds of the gong lulling us into a stupor. Ok, it did feel a little “hippy trippy” and didn’t disperse every last bit of stress, but it was certainly nice to escape it for half an hour or so. And who knows what the long-term cumulative effects are when you practise this regularly?